Only 3,500 bank branches cater to 37,000 villages in Bengal. How are the people coping? 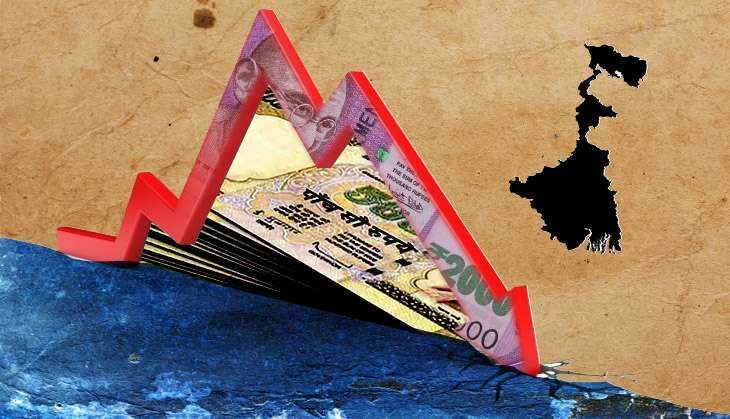 Demonitisation is set to hit hard the revenue of Bengal, with the government estimating the loss at about 25%. The state's revenue collection until November has declined by 11% as compared to the same period last fiscal. In absolute terms, the state has earned only about Rs 5,260 crore in the April-November period. This is particularly worrying given that Bengal has a loan burden of over Rs 2 lakh crore. The revenue loss is likely to delay or derail the welfare projects jointly funded by the state and central governments - JNNURM, MNREGA. Left with fewer resources, senior officials said that they will first "clear all the financial grants that the state government gives under schemes such as Khadya Sathi, Yuvasree and Kanyashree". Only then will they provide any money for the "Centre-state projects". Finance Minister Amit Mitra said demonetisation is set to shave a significant amount off Bengal's GDP. Then there is the social cost of the currency note replacement, Mitra pointed out. Bengal, for instance, has more than 37,000 villages but only 3,500 or so bank branches to cater to them. And due to this mismatch, the people have to face enormous hardship. More worryingly, the officials fear the "problem will only get aggravated" over the next month or so as the state may be unable to pay anyone in cash owing to the limits on withdrawals imposed by the RBI. Indeed, the payment of cash bonuses announced by Chief Minister Mamata Banerjee for officials "who did good work in returning land to Singur's farmers" has already been deferred. TWEET THIS Bengal sees 11% decline in revenue collection until November. Fears total loss of 25% this fiscal Only 3,500 bank branches cater to 37,000 villages in Bengal. How are the people coping?